Home » Current Events » Happy Halloween! Good times ahead! The fun starts with the Costume Parade at 3:30pm. 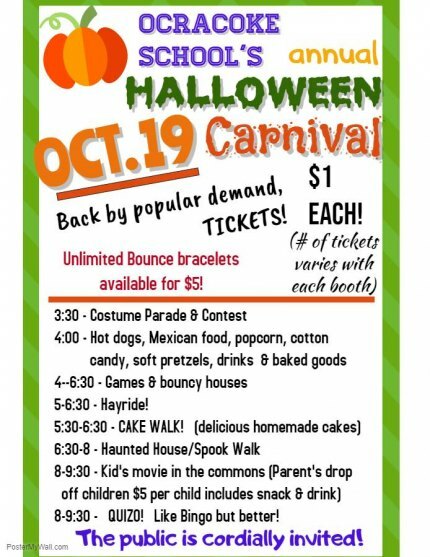 Come out and see all the little ghosts and zombies and witches! And yes, there are costume prizes! There'll be Mexican food, hot dogs, soft pretzels, and baked goods for sale! Carnival games and a Cake Walk! Grown-ups can park the kids at the movie in the school commons, or bring them along to try their luck at Quiz-O for great prizes! 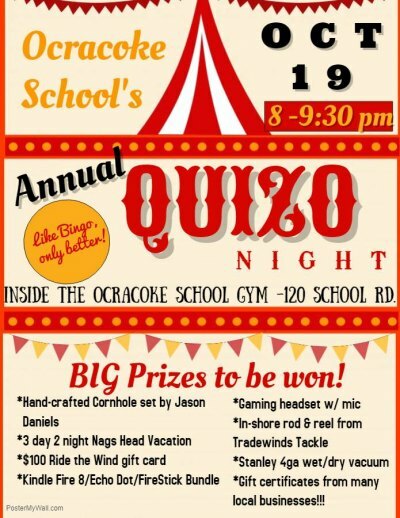 This event is the major fundraiser for Ocracoke School PTA, which appreciates your support.